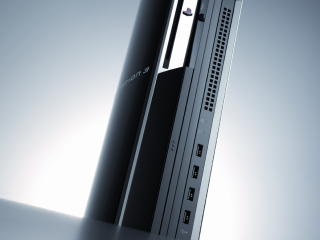 Sony's PlayStation 3 will be the third-choice console this Christmas according to a new report from BrandIntel. Marketwire examined the findings of the new report, which is based on an analysis of over 2,000 online consumer comments. The report suggests that the Nintendo Wii will dominate the Christmas period this year. It's hardly a surprising conclusion. Consumers are undoubtedly attracted to the Wii through a combination of its brand image, unique family-orientated gameplay and the rock-bottom price tag. The Wii software line-up is undoubtedly the weakest of the three next-gen consoles. But the lack of big titles hasn't affected Nintendo's sales so far. And now that Nintendo has solved the early supply problems that limited stock in many territories, it's likely that the Wii will easily win the Christmas console battle. Which leaves Microsoft's Xbox 360 and Sony's PlayStation 3 to fight it out for the loyalty of hard-core gamers. The Xbox 360 "received positive sentiment stemming mostly from an impressive game line-up", says the BrandIntel report. The Xbox 360 was the first next-gen console to launch and has been available for almost two years. This head start has given Microsoft an advantage - it has allowed the Xbox 360 to mature and games developers have had more time to learn how to get the best out of it. Being first has also allowed Microsoft to make key price cuts to the hardware, spiking console sales in the process. With exclusive titles such as Halo 3, Mass Effect and Project Gotham Racing 4, Microsoft believes that it has the best Christmas line-up ever. Few observers would disagree and Halo 3 alone is anticipated to surge sales of the Xbox 360 at the end of September. The PlayStation 3 is the newest of the three consoles and its high price is the primary reason why it will lose the Christmas console battle. The PS3 was "perceived more negatively than the Wii and Xbox 360 due in part to its high cost and lack of attractive games," says the BrandIntel study.